Who doesn’t love French Toast? Well, I guess I could answer that with everyone who doesn’t hate eggs, like my Mom and my Aunt! I didn’t take on the “hate eggs” gene thank God! I love French Toast! I saw a tweet by Laura Wright this morning, saying she was craving French Toast. 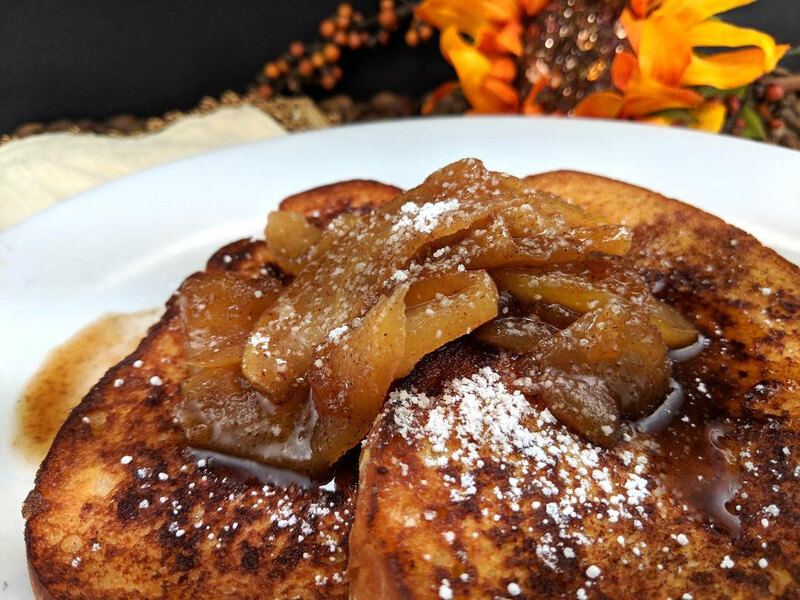 Well, it’s a Fall Saturday, I have time, so here we go…French Toast with Apples. No one needs a recipe to make French Toast. Do they? A little scrambled raw egg, dip the bread, and cook on a greased griddle. Well, after reading, I guess there are “many ways” to make French Toast! Every recipe I create or make always involves many steps. Not hard steps, but many steps. That’s what it takes to make great food. 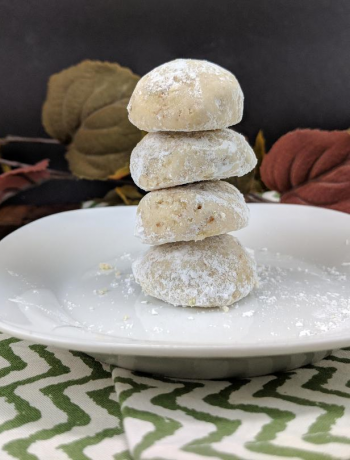 I always welcome a recipe or two that is simple, but yet delicious and a reward for your hard work. 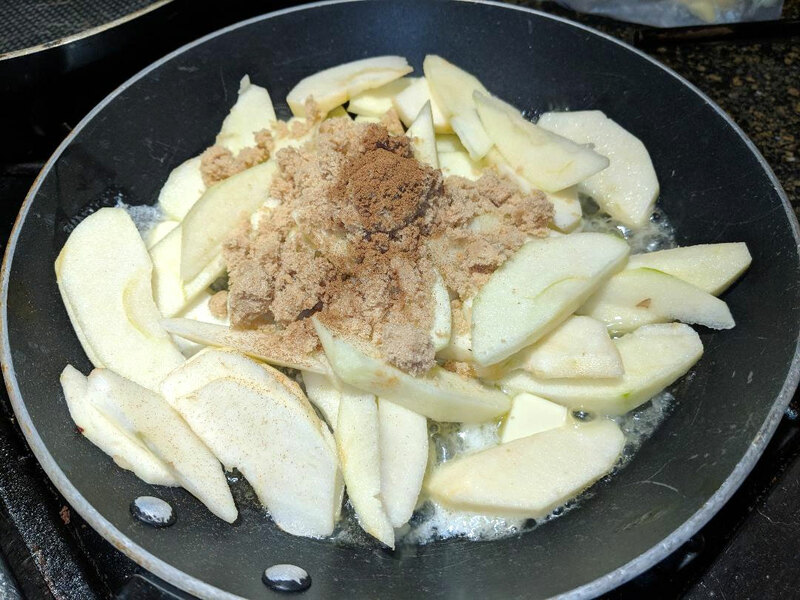 If you want the apples, just throw them in a skillet with butter, brown sugar and cinnamon. Saute on medium heat until soft and caramelized. Then coat the bread with egg and cinnamon and brown in a buttered skillet. French Toast is the simple recipe for me. It takes all of a minute or two to get these babies into the pan. 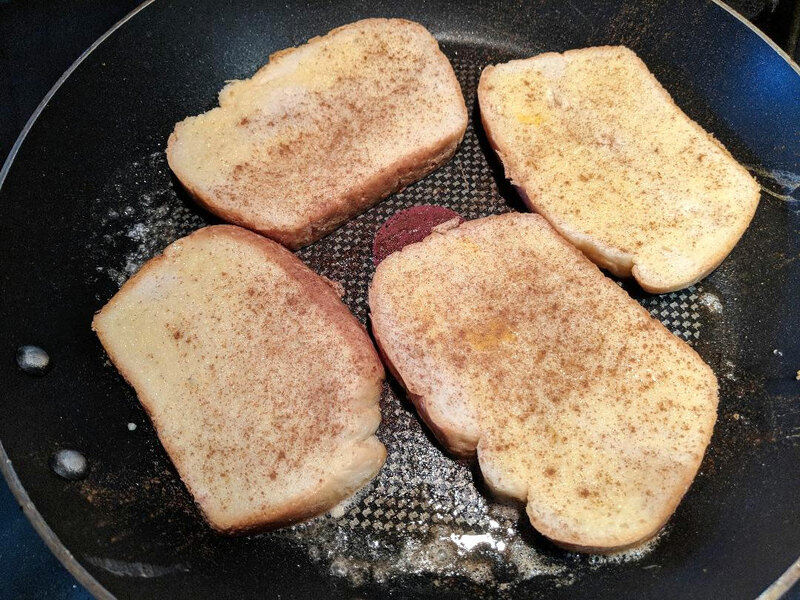 I make French Toast a little different than most, I don’t “dip or soak” the bread into the egg mixture. I told you I didn’t “hate” eggs, but I didn’t say “love” either….I “brush” the egg mixture on with a silicone basting brush, so I can control how much egg goes on the bread. I also try and use a stiff country style bread, as the egg doesn’t soak in as easy. 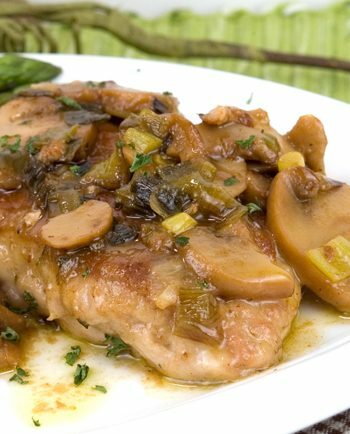 This love/hate relationship with eggs also applies to Chicken Francese. I never order or make that either because the egg is coated after the flour, and the chicken has an “eggy” taste. This French Toast with Apples was super delicious. Perfect for an early Fall Saturday morning. And gives me energy for the million things I have to do today! In a small skillet, melt the 4-5 Tbsp butter. Add apple slices, brown sugar and cinnamon. 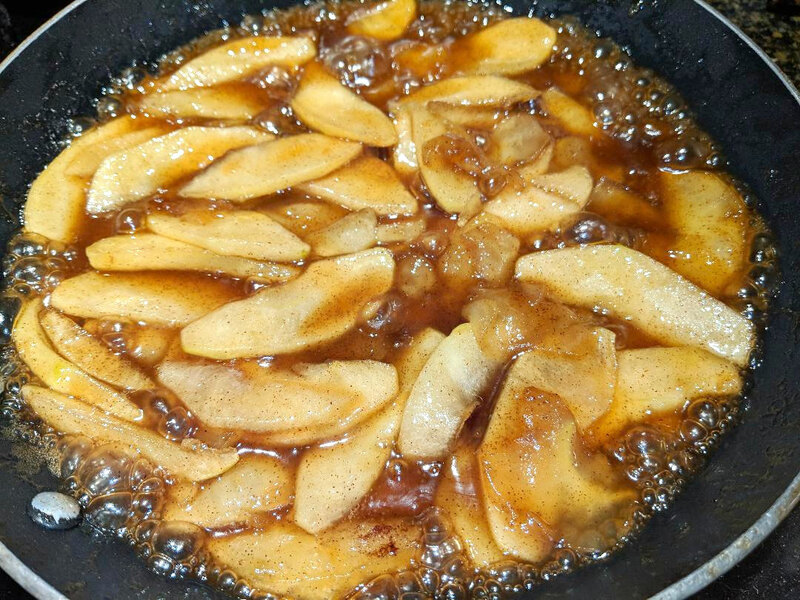 Cook on medium heat until apples are tender and brown sugar has thickened. About 5 minutes or so. Set aside. In a large skillet, melt 51 Tbsp butter. With a fork, whisk the egg and milk together. Brush the bread with egg mixture, and sprinkle with a little cinnamon and put in pan. Do the same with the other side of bread. Cook on medium/medium high in the skillet until browned. Flip over and brown the other side. 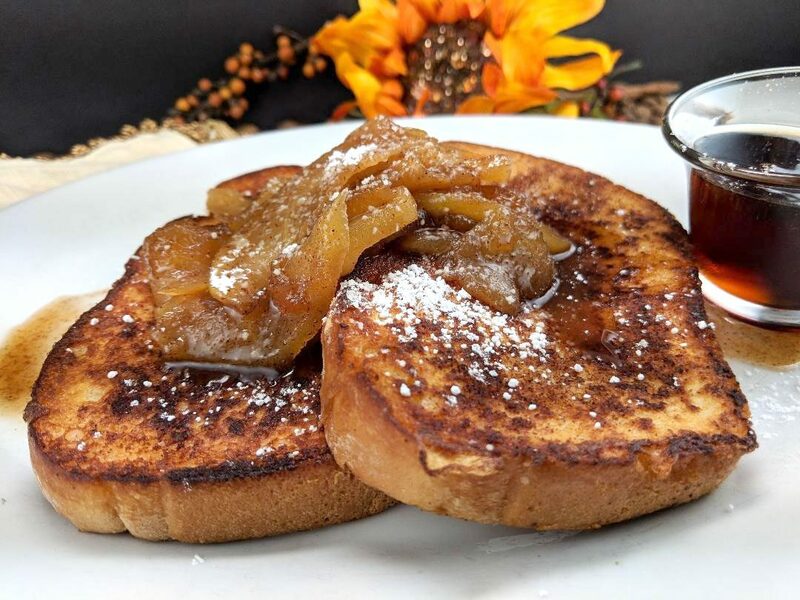 Top french toast with apples and confectioners sugar and/or maple syrup.